Achari methi matar paneer, sounds different, isn’t it? Yes, it is something different but extremely delightful. Though the name sounds little intricate, it is actually very easy to cook. Achari flavor is something which most of us get excited when we hear it as we all love pickles much, Indian thali is never complete without pickle. But when the dish itself is full of achari essence, we find it more fascinating and of-coarse scrumptious. And so is this Achari Methi Matar Paneer!! Handful of ingredients which we have in our pantry combines together to give unique and rich course elating your spread a score higher. 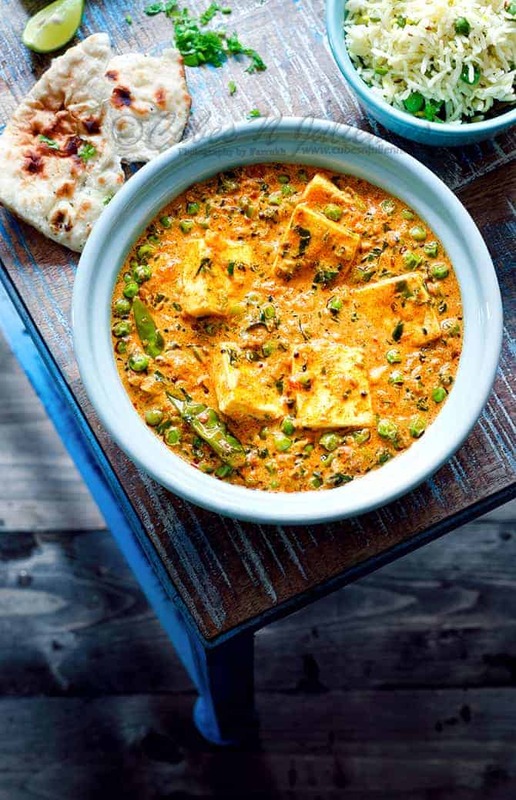 Be it a weekend menu or any occasion, Achari Methi Matar Paneer will always be a win win dish. Not only this, but also Achari Chole Paneer, Achari Turai Dal or even Achari bharwan Baingan stands out in a crowd for their uniqueness and zest. And If you make Achari masala and store it, so that it is always be handy to dress up your menu with pickle flavor making it more interesting. 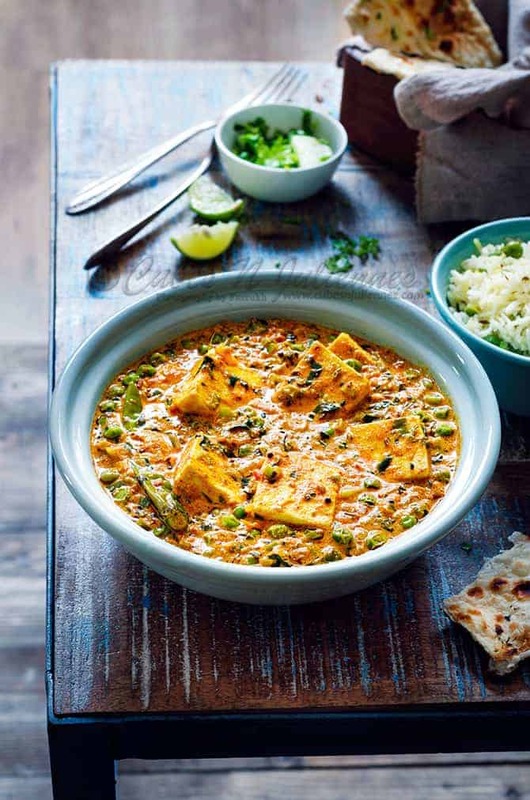 Achari methi matar paneer is such a flexible dish that it pairs best with any kind of Indian bread, be it a poori, phulkas, parathas, nan, kulchas or pulao, isn’t it wonderful! Weekend is approaching, add this mouthwatering achari methi matar paneer to your menu giving an achari surprise your near and dear ones. Add nigella, fenugreek, and crushed, mustard, fennel and cumin, fry until aromatic, do not burn. Add green chilies, ginger garlic and sauté until aromatic. Add methi and capsicum, and sauté on high for a minute. Add cream and cook for another 2 minutes. Achari methi matar paneer is ready to be served. Just a suggestion, if you can also note down the serving portion in your recipes it will be of great help when planning and trying your recipe for big crowd.